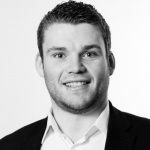 Taylor Hopkinson is working with an international energy developer to recruit a Site Manager to manage the on-going operations of their wind portfolio in Ireland. Reporting to the Senior Operations Manager, you will be primarily responsible for ensuring that the portfolio of wind farms remains compliant with all statutory and local requirements to best possible practice and that performance is optimal. Conduct quarterly inspections of the sites including wind turbines, wind measuring mast and the substation. Ensure site standards are maintained. Manage site safety file for each wind farm. Organize and follow-up on statutory inspections. Conduct contractual management of the Turbine O&M provider. Manage competitive pricing processes for required work. Exercise technical and commercial management of subcontractors. Track wind farms production, alarms and malfunctions. Monitor wind forecasts and optimize maintenance schedule with the turbine operator. Complete monthly reports including production, availability and outage reporting. Liaise and manage relationship with local stakeholders, landowners, residents and authorities. Manage and follow-up of claims in connection with the insurer. Optimize production and asset enhancement. Ensure periodic meetings with contractors. Represent the company and the wind farms with residents, administration and third parties. Manage wind farm land leases. Report any legal/commercial implications to senior management and support the resolution of these issues as appropriate. Take a leadership role when required on issues and ensure they are driven to completion. Undertake such other duties/responsibilities as may be assigned to you from time to time. A qualification in Engineering or equivalent technical qualification. A minimum of 4 years’ experience in wind farm operations/management. Excellent team player, goal-orientated, dynamic with the skill to motivate others successfully. Strong stakeholder relationship building skills. Excellent organizational skills with the ability to handle multiple priorities and meet pressure deadlines. A quick learner: when faced with ambiguities, take guidance well and grow to a full grasp of the matter. A natural problem solver who tenaciously seek to find a solution to operational issues. Strong communication and interpersonal skills, able to report both good and bad news on issues, current project status, upcoming deadlines etc. in a precise manner. Computer literate with a good knowledge of MS Office. SCADA knowledge an advantage. Possess a full, clean driver’s licence (category B). Speak and write fluent English.